While a lot of people use the New Year as a way to make improvements to their health or personal life, this is also a great time of year to make improvements to your home as well. The cold months of the year mean you’re spending more time indoors — perfect for tackling several areas of your home to make it healthier, happier, and more organized. Take on these 10 budget-friendly home improvements to find a whole new look for your home this year. The first step to getting organized and discovering the potential in your home is to get rid of the clutter and junk that may be hiding in your closets and shelves. Out with the old. That is a frequent cry in the new year so it makes sense to take this time to declutter your home and either donate useable items or have a junk removal service come by to haul it away. Once you’re done, you’ll be in a better place to assess your home and what else needs to be done. Cost: Some charities will remove old items for free, otherwise, junk removal services cost around $165 to $215 for a medium sized load. Make the Most of the Job: Tackle this job first, before others. Then, you can really assess your home and see its true potential. Always call about donations before you begin so you can schedule a timely pick-up and a tax write-off for next year. Nothing feels quite as good as a freshly cleaned house. A clean home is also easier to maintain than one that’s accumulated dirt and disrepair over the years. Start the new year off right by hiring a cleaning service for a deep clean. You can have the whole house done, or just focus on those areas that really need it. A deep clean can help you determine if more work needs to be done, or if a good sprucing was all that was required. Cost: The average cost of a single cleaning visit is $100 to $150. Make the Most of the Job: Declutter first so the cleaning crew can tackle all areas of your home. Take this time to look at things like paint and woodwork to determine if it needs more help than a single cleaning. A fresh coat of paint can give new life to any room of your home, and the winter months are the perfect time to have this done. The low humidity in the air helps the paint dry more quickly, keeps odors down, and, therefore, helps to speed up the job. If a cleaning hasn’t saved the walls of your home, apply a few coat of paint to cover up the stains from last year. Cost: The cost to paint a living room is between $370 and $950 depending on how high your walls are and the type of paint being used. Make the Most of the Job: DIY this job to save. While you’re at it, consider painting your old cabinets to dress them up at the same time and save even more. Nothing says you’re stuck in the past more than a popcorn ceiling. While popular 30 years ago, this textured ceiling now dates any room it’s in, lowering your home’s value and its aesthetics. Removing a popcorn ceiling is easy to do and can dramatically update the rooms of your home. Just make sure to have your ceiling first tested for asbestos before you begin to make sure it is removed safely. Cost: The average cost to remove a popcorn ceiling is around $700 to $1,500 including finishing. Make the Most of the Job: If you have a spray bottle, a putty knife, and some patience, you can remove the old popcorn yourself for less than $50. Many older homes have asbestos lurking in floors, pipes, ceilings, and siding. While harmless if you leave it alone, any damage to or work on these areas could release harmful asbestos fibers into the air. The best way to deal with this problem is professional abatement services. If you suspect asbestos in your home, make sure proper testing and abatement is done before you begin any home improvements. Cost: The average cost of asbestos removal is $200 to $400 an hour. Make the Most of the Job: Sometimes asbestos can be encapsulated beneath another material. If you find flooring or ceilings with asbestos, consider having a floating floor or acoustic ceiling installed over it to reduce the hazard. 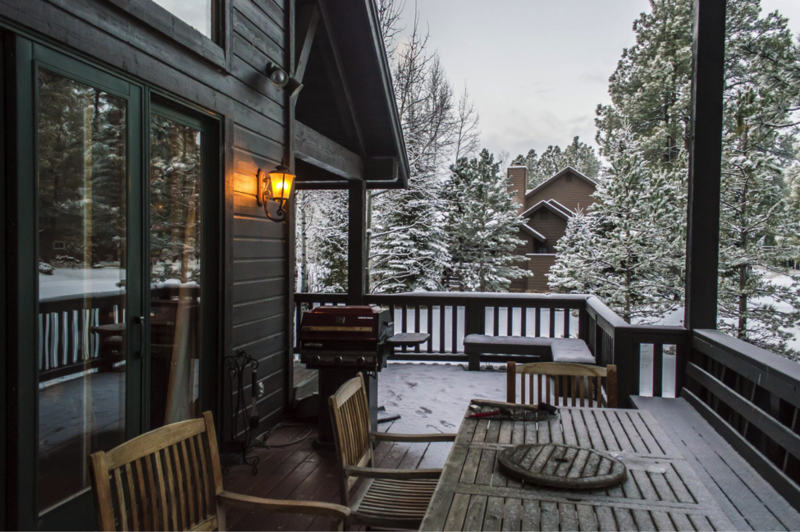 The winter months can be brutal if your home doesn’t have enough insulation. Many homes lack adequate insulation in crucial areas like the attic. It can help prevent the energy you’re using to heat your home from flying right out the door. Attic insulation currently gets a return on investment of 110 percent, making this a fantastic improvement for the new year to improve your home’s value as well as your comfort level this winter. Cost: The average cost to insulate an attic is around $400. Make the Most of the Job: While you insulate your attic, take the time to insulate below your roof deck as well. This will help extend the longevity of your roof, while lowering energy bills at the same time. During the winter months, your air ducts get a lot of work, pushing hot air through your home to warm it. Unfortunately, they could also be blowing dust, pollutants, and allergens through your home at the same time if your ductwork is dirty. Dirty ducts can also mean that your furnace is working harder, which could be raising your energy bills at the same time. Your ducts should also be cleaned right after any other home construction, as the dust has a tendency to collect there. Cost: The average cost of a duct cleaning is $300 to $500. Make the Most of the Job: Have your ducts inspected for leaks at the same time; leaky ducts can raise your energy bills by as much as 20 percent; having them fixed can lower your bills by the same amount. There’s nothing quite like crown molding to make any room in your home look polished and complete. So if you’ve been feeling as though your home needs a little style boost, consider installing some crown molding this winter. Interior projects like this are best done during the colder months when carpenters and handymen aren’t as busy outdoors, and, of course, when you’re spending more time indoors yourself where you can admire them. Cost: The average cost of installing crown molding is around $900 for professional installation. Make the Most of the Job: If you have access to the right tools, install the crown molding yourself to save. Paint your walls at the same time to give each room a whole new look. Fireplaces can have an immediate impact on many aspects of your home from aesthetics to value to comfort. This winter, install an electric fireplace to any of the rooms you spend the most time in. Electric fireplaces can help lower your energy bills by heating the room you’re in, rather than the whole house. They can also be placed anywhere, whether or not there is an existing fireplace in the room. You can add instant warmth and charm to any location. Cost: The average cost of an electric fireplace is around $300. Make the Most of the Job: Include a mantel in your design to give your room a focal point and additional style as well. Winter takes a hard toll on hardwood flooring. The sand and salt used to make roads safer can wear away the finish on your flooring as well. Give your hardwood new life by having a stain applied to cover up old scuffs and stains from the previous years. Many new finishes don’t require sanding unless your floor is in very bad shape, so you can often get a whole new look in just a few days. Cost: The average cost to restain a hardwood floor is around $535. Make the Most of the Job: Look into durable, acrylic sealants with the stain that will hold up longer to the typical wear and tear of a hardwood floor, giving your floor lasting good looks. To find out the current value of your Snohomish county or King county home now, click on my home’s value.